After 20 years, writer Phillippe Diederich sails back to Cuba to find a country that's finally changing. A line of candy-colored vintage convertibles on Calle Obrapia, waiting to take tourists on tours. When a friend invited me to sail to Cuba this summer, I jumped at the chance. 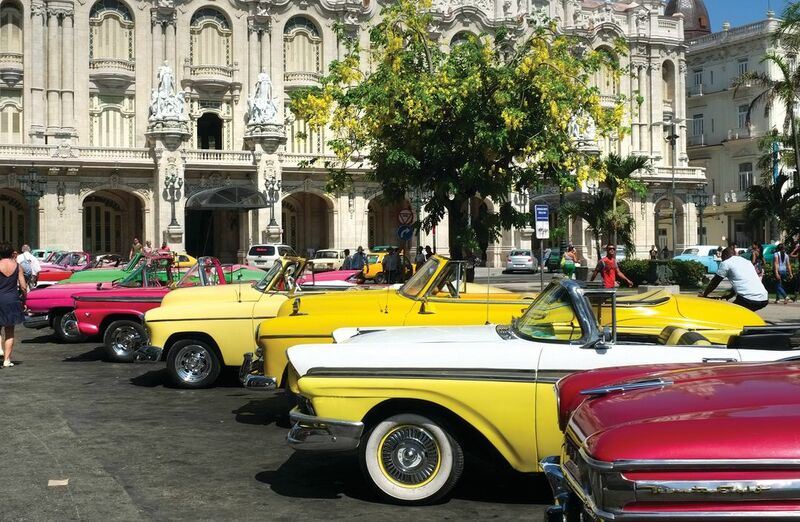 Never mind that it would take two full days and full nights to travel from Sarasota to Havana. And never mind that I had never sailed before, or even been on a boat for more than a few hours. I was up for the adventure. I hadn’t been back to Cuba in almost 20 years. I am not Cuban—not by blood. But I traveled to the island over a dozen times between 1991 and 1998. Cuba, the Cuban people and the sad politics that surround that unique country got deep under my skin. Cuba feels like home. My friend managed the paperwork to get permission from the U.S. State Department by claiming the four of us were journalists—even my 13-year-old son was approved. I will skip over the details of our sailing, which include accidentally dropping the anchor while leaving the Intracoastal Waterway at Venice and hitting a squall with eight-foot swells while crossing the Gulf Stream at night under a full moon. We sighted land early in the morning. Through the binoculars, I could make out the imposing square shape of the Hotel Nacional with its two small towers on top. The city was hazy with diesel fumes, but as we got closer I got a whiff of Havana—the unmistakable smell from the old days, like a mix of bad gasoline and olive oil. One of Habana Vieja's many restaurants. When I first visited Cuba in the early 1990s there were no private businesses. Hotels and restaurants that served foreign tourists were off limits to Cubans. 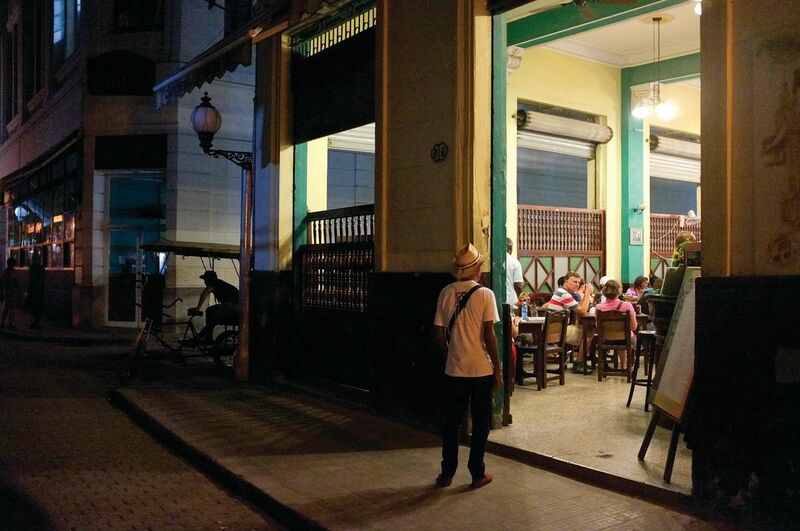 The Cubans had their own hotels and restaurants, but they were off limits to foreigners. Back then the Cuban economy was so depressed, they called it the “Special Period.” The streets and bodegas were empty, literally. All this has changed—and then some. As I traveled down Quinta Avenida (Fifth Avenue) from Marina Hemingway to Habana Vieja in one of those vintage American cars you see on the news segments about Cuba, I was surprised by the level of activity. For the first time, Cuba looked and felt like a normal place. The avenue was clean. In the posh neighborhood of Miramar, teenagers flipped their skateboards and did ollies in the park. Police monitored traffic at every few crossings. And people were walking in and out of shops as if there were something to buy. Down in the Vedado neighborhood, across the Malecón, a string of small food stands and cafés was getting ready for customers. There was new construction everywhere. In the distance, toward Habana Vieja, I counted three construction cranes hovering over the site of a new hotel. In La Rampa, an entertainment and business hub in Vedado, young people wore tight clothes and had fancy haircuts—short on the sides, long on top, rays and designs carved on the side of their heads. It was as if I had landed in a mall in L.A. My son was so impressed by the hairstyles he wanted to check out a Cuban barbershop. At El Figaro, a large barbershop with half a dozen chairs, a wall of mirrors and the constant buzz of electric clippers, Ricardo, the barber, gave me a hip Cuban haircut. He told me they see close to 500 clients a week. 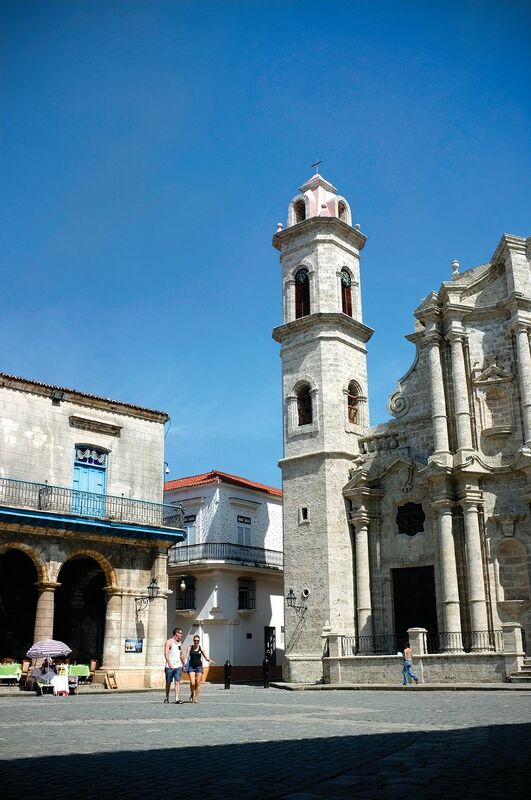 Habana Vieja was overrun with tourists from Europe and the United States. There were restaurants on every block, with musicians playing for tips, and shops selling souvenirs like carved coconuts, Che Guevara T-shirts, and key chains with the Cuban flag. Havana no longer felt like a ghost town. La Catedral de la Habana and the Plaza de la Catedral, the epicenter of Old Havana. In the province of Pinar del Rio, buses full of Cubans from Havana and other parts of the country overran the valley of Viñales, a national monument and UNESCO World Heritage Site. They brought their own party: drinking rum, singing, taking photos with their smart phones, buying souvenirs and looking in awe at the mogotes, steep limestone hills covered with tropical plants. That’s the best part of Cuba: its people. No amount of progress can take the Cuban out of the Cuban. When I ducked into a bodega, the event became a debate about food, cooking and who has the tastiest mangoes in the world. When I stepped into a dispensary where rum was sold wholesale and only to Cubans, I bantered with the customers about how much more booze they’re getting because of the uptick in the economy. Cubans are a friendly, fun-loving people. And I believe they always will be. 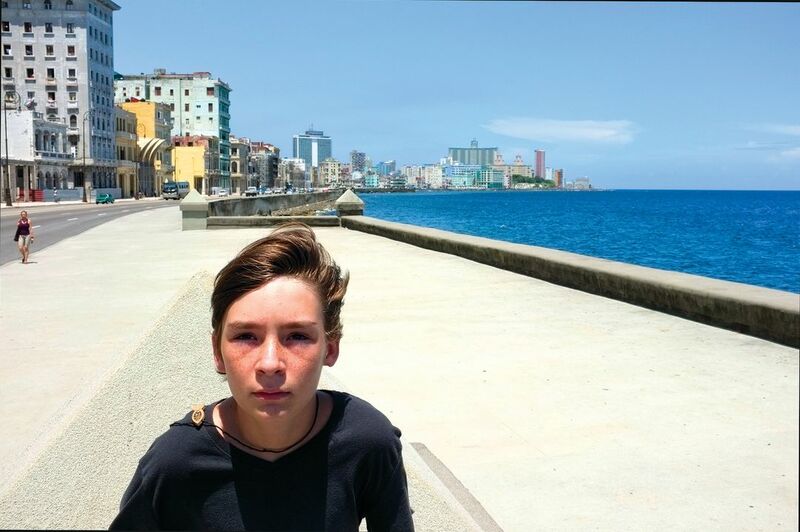 The writer's son Finn posing on the Malecon, Havan's famous seaside boulevard. As we sailed out of Marina Hemingway, I could see the giant Carnival cruise ship from Miami heading to the port of Havana. I had to smile. Cuba is slowly coming out of its deep economic slumber. Fifty-four years of the U.S. embargo saved Cuba from becoming a tacky tourist stop. But it also hurt the Cuban people tremendously. I am glad for the progress we’ve made, and in a way I am glad the changes have been slow to take effect. But the change is here. It’s happening now. Contributing editor Phillippe Diederich is the author of the novels Playing for the Devil’s Fire and Sofrito, about a Cuban-American who travels to Havana in search of a secret recipe.